Imagine this situation when your parents, friends, lover, husband or wife, children, and even your office acquaintance stop having time for you in their lives. Some of the readers might immediately feel relieved because of this relatively new notion of "personal space", or a long-awaited "alone time". The mirage of freedom will fade as quickly as it comes to existence in your mind. All you might have left would be the same routine to wake up each day, go to school or office, do your household chores, travel if you must, eat and probably sleep again to wake up to another lonely day. It is pretty grim, isn't it? We all feel some days are long and some short, certain time spent as good and certain others bad. Have you ever wondered about the times you have felt 'good'? I am willing to bet, it is when you have utilized your time to do something either useful or memorable. More often than not, such feelings of goodness are stirred because of someone else in the scene with you. Be it dinner with your parents, coffee with your friend, walk in the park with your loved one, reading comics with your brother, shopping with your sister, game of catch with your kids, vacation with your spouse, or a simple acknowledgement of love from your dog, they are all there. Time is universal. The one common thing between software tycoons and daily wage earners, diamond merchants and coffee planters, tourists, doctors and priests, toddlers and prisoners, is time. For those who believe in God, it is our biggest blessing. For those who believe more in science, it is a perfection of the universe. I see it as one of the ways of negating certain random imbalances amongst the fate of people on our planet. It is truly amazing to recognize that despite our social, economic, professional and intellectual differences, we all have only 24 hours in a day, 7 days a week and 365 days in a year! What decides how we fare has a lot to do with how we each manage this limited time for satisfying our innumerable wants and needs. Personal aspirations, requirements from work, maintaining friendships, satisfying love, needs of your parents and children, attention to your pets crave; all these expectations simply bank on this time of yours, as you do on theirs. It seems important because of the races we are all running. One must ensure that when we stop to look back, there are people running with us. The bitter truth is that if we don't have enough time for others, they will also reciprocate likewise eventually. A part of your time is the greatest gift to give someone because it will never come back. Although, in theory, you might be spending your precious time on someone but yourself, yet you will simultaneously be learning a lot many lessons from those experiences. We are social animals and have evolved to depend on one another for an array of reasons. Start giving your time to people who deserve it, who need it and who can make a difference in the way you spend this limited resource of yours. It is a personal choice influenced largely by the people around you. By deciding who you are with and how much of time you spend with each person, you are essentially sculpting your life. 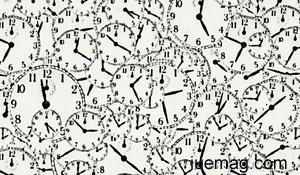 This habit of time management, if cultivated, will create immense amount of change in your life. The fruits this bears can be reaped for a long time to come. This will ultimately end up deciding how happy and successful you are. Work is doubtlessly more important in this fast pace of life. Competition is increasing by the minute and the stakes are high. Our time on Earth is short, but not short enough to be lived carelessly. This is just a wakeup call for those of us who are drifting away. When all is done in life, we will tell our grandchildren stories that begin with: "You know, in my time I used to.." So, start living your life in such a way that you can create better memories, resulting in better stories later.